Synopsis: When the Creeds move into a beautiful old house in rural Maine, it all seems too good to be true: physician father, beautiful wife, charming little daughter, adorable infant son—and now an idyllic home. As a family, they’ve got it all...right down to the friendly car. 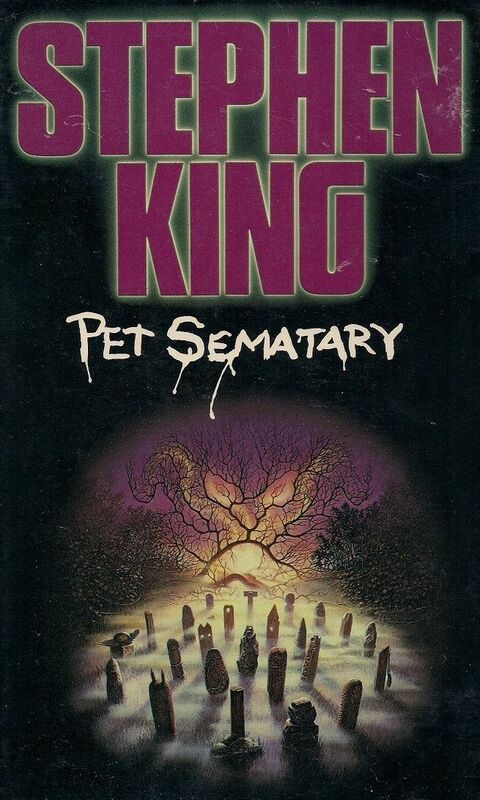 Quite frankly, I've been dreading reaching this book in the Stephen King reread for quite some time, if only because it's so difficult for me to assess. In almost no other case are my feelings on a book so conflicted, so difficult to verbalize. While it is one of King's finest from a writing standpoint, it's almost too dark for me to enjoy or even discuss. I enjoy a good dash of bleak in what I read, but other ingredients are vital — Cujo has some damn fine commentary on wealth and adultery; Roadwork is a fascinating character study of the ruination of one man due to outside forces beyond his control. 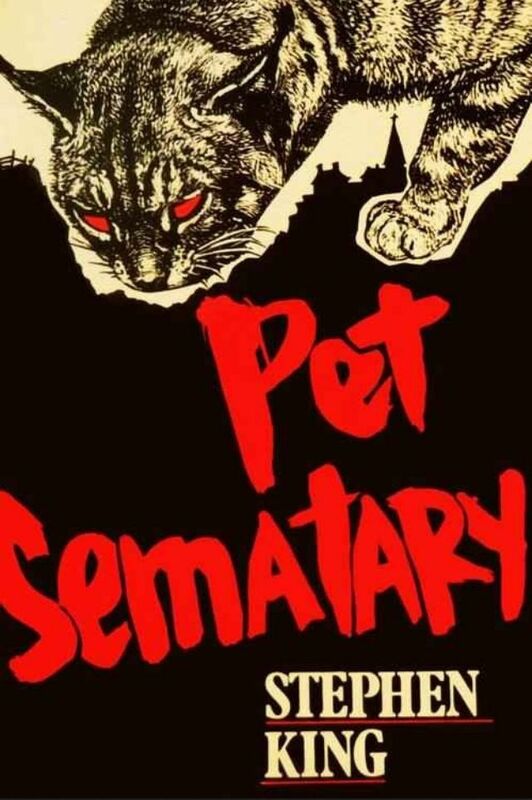 In a way, Pet Sematary is very much like that — the ruination of a family due to uncontrollable forces — but my problem with this story is the reader never sees the characters outside the prism of grief and darkness. It is as sour as the Micmac burial ground. The story takes place in a span of a little less than a year, but it never feels like the characters change or evolve — they are largely static, merely chess pieces King moves around however will best suit his story. I suppose that's my major gripe with this story — the lack of fluidity and growth that is so present in almost every other King novel. He rubs the reader's nose in death and despair and never lets up. In addition, the characters that populate this story, likable though they may be, never truly pop for me. They never sparkle or shine, like the best of King's creations — especially in the era in which this book was published. I love reading about them (especially sweet Ellie and Gage), but Louis and Rachel's strong, stable marriage isn't as fascinating as, say, the doomed love of Johnny and Sarah in The Dead Zone. In fact, this was King's first book to prominently feature a happy marriage at the fore. Sure, he'd written about marriage a couple of times before, but those relationships had big problems . . . the Creed family is possibly King's first fully functional unit. And while that is very interesting in context of King's career as a whole, Rachel and Louise have never seemed truly believable, to me. They lack a certain chemistry. It is all-too apparent in some cases that this is King's first attempt at a real, honest-to-God loving family, and he hadn't quite found his way in yet. So . . . If I have all these problems, why am I giving the novel 4.5 stars? Simply put, this is one of King's ballsiest tales — something I really dig. He goes for the reader's jugular in a way he wouldn't attempt again until later works like The Dark Half and Revival. He's not afraid to 'go there.' As well, this is probably King's most Maine-y story. The setting is friggin' beautiful. The descriptions of the woods behind the Creeds' home, the rolling fields nearby, and the Creeds' and Crandalls' homes themselves are King's most arresting this side of Duma Key. As well, I absolutely love the friendship between Louis and Jud. The nights spent on Jud's porch, drinking beer and discussing life . . . ah, so good! Those scenes are some of my very favorites in the story. Yeah, I still feel conflicted about this story and I've read it three times at this point. 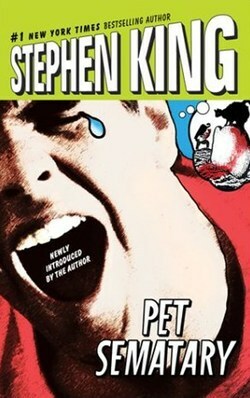 It features some of King's best writing, but the characters' lack of development (aside from Louis's spiral into insanity . . . I guess I'd consider that development?) frustrates me. It feels entirely too plotted, featuring characters moving from point A to point B only to better serve the story. Ultimately, the Great Hand of God (i.e. Stephen King) is visible and pretty intrusive. This is a fascinating rumination on death and the grieving process, but it risks devolving into campy horror in the third part. And yet, the third part (and epilogue) is one of King's finest payoffs — it kicks tail and takes names. So I'm marking off half a star for my grievances, because in the end my annoyances are minor and almost never truly impact the story, and when finished I'm always left feeling like I've swallowed razor blades and in desperate need of a shower — the result I am sure King was going for. Therefore, 4.5 stars. This will never be in my top ten, but only because the subject matter is almost too much for me to take. 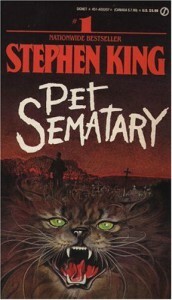 Pet Sematary is pretty great reading, but it also might be the worst book one could experience. If you finish this story unsure of how you feel, joint the club. I'm right there with ya. The towns of Haven (The Tommyknockers), Jerusalem's Lot ('Jerusalem's Lot,' 'Salem's Lot), and Derry (IT, Insomnia, Dreamcatcher, 'Fair Extension') are mentioned, as well as the Penobscot river, which plays an important role in IT. Louis thinks of Church having the 'swagger of a gunslinger' . . . a tenuous connection to the Dark Tower, but a connection all the same. The process of fetal resorption is mentioned twice, telling me the ground for The Dark Half was already being tilled in King's mind, albeit perhaps not on a conscious level. Get your silver ready, because we're taking a trip to Tarker's Mills. It's Cycle of the Werewolf!